Just a few homes’ windows face Maxwell Lane in Rathmines, and they have bars on them. Several shops back onto the lane, and they have barbed wire running around their flat roofs. Marcy Grodecka says there are a few problems in the laneway with people drinking and burning pallets from the shops, and with illegal dumping. “They are teenagers I think,” she said recently, stood behind the deli counter at the nearby Late Shopper where she works. “They burn the pallets mostly in the run-up to Halloween.” Perhaps CCTV in the laneway would solve the problem, she suggests. On 9 October, at a meeting of councillors for the area, Labour Councillor Mary Freehill tabled a motion on Maxwell Lane. “Fights, rows, drinking, drug-selling, attacks on local houses […] have all taken place in recent months,” said Freehill’s motion. 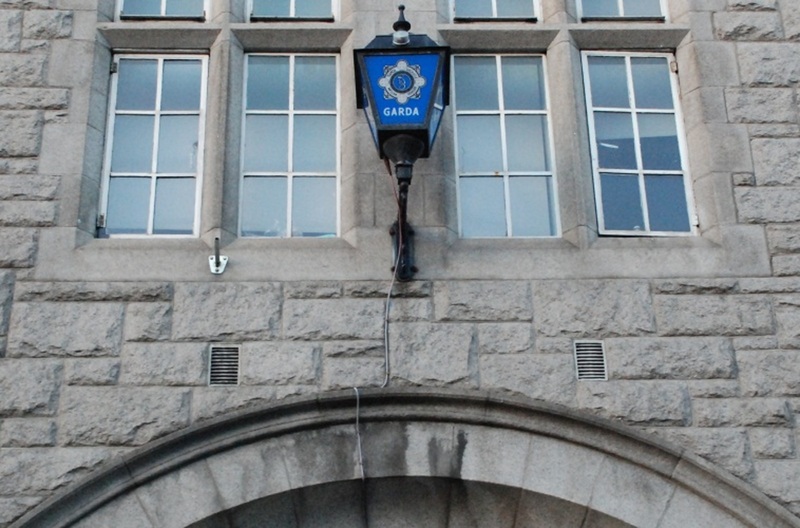 “As the Gardaí cannot be stationed there 24 hours a day, it seems some structural solution is required, e.g. blocking off access except to key holders,” Freehill said. In several other parts of the city, residents backed by local representatives are doing just that. They are taking over control of their laneways and closing off public access to them, in an effort to end anti-social behaviour and crime. But researchers disagree over whether closing off thoroughfares makes them safer, or ensuring that people keep passing through does. Stephen Staines lives in Oxmantown Road in Stoneybatter. His mother came from Ross Street around the corner, he says. That street was completely transformed when Dublin City Council fenced off the grounds of the O’Devaney Gardens social-housing complex, which was being emptied out and torn down, in preparation for new construction on the site. There had been problems with illegal dumping and with cars being burnt out, Staines says. But then the fences went up and Ross Street, Arklow Street, and Ashford Street were no longer thoroughfares, but a sort of multi-street cul-de-sac. “Instantly the three streets became much nicer, much tidier and much less anti-social behaviour,” Staines says. Staines wants the right of way extinguished so that the neighbourhood remains a cul-de-sac, even after the O’Devaney site redeveloped. He has been influenced by research conducted in a council estate in Bradford, in the UK, which had low rates of crime. It is all in the physical design of the developments, he says. Bill Hillier, a research professor at University College London, has written that there are two, opposite, schools of thought on the links between permeability of an area and the level of crime there: some believe that bringing more people through a street makes it safer, while others think keeping people out makes it safer. In a 2008 paper co-written with Ozlem Sahbaz, he addresses the question of how permeable residential areas should be. The study is based on five years of police crime data in a London borough. Hillier and Sahbaz say that it is hard to answer the question with the data, but some of the results offer insights pointing to a some-but-not-too-much approach to through traffic. Last week Sinn Féin Councillor Janice Boylan tabled a motion at a meeting of the the council’s Central Area Committee, in support of Staines and the residents Ross Street, Arklow Street, and Ashford Street. They have built “beautiful community gardens”, and children are using them as a play area, Boylan says. Other local councillors support the residents’ efforts too. Fine Gael Councillor Ray McAdam, who chairs the Central Area Committee, said that a great community area has been created in what was previously “a no-go area”. Social Democrats Councillor Gary Gannon said he had visited the site, and that he thought it was a reasonable request by people to have defined borders around their homes. Later, he said that he wouldn’t like for the new residents of O’Devaney Gardens to be cut off from their nearest churches and schools. “There is nobody there to represent the future residents of O’Devaney Gardens,” he says. Boylan says there are plenty of other access routes so these ones are not needed. She used to live in O’Devaney Gardens and those walkways were rarely used, she says. The residents’ application is likely to be successful. Councillors have the power to extinguish rights of way, and with the support of the local area committee, Boylan expects to be able to win the support of the majority of the council too. 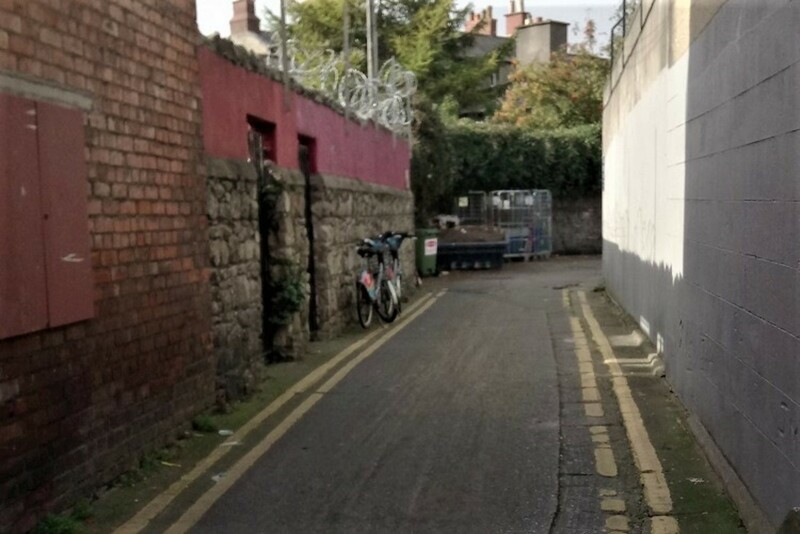 It is not just around Rathmines and the O’Devaney Gardens area that residents are working to close off laneways permanently. In September, some residents of Clontarf got a right-of-way extinguished on a laneway that runs from Vernon Avenue along St Joseph’s Square and out to Belgrove Road. They cited anti-social behaviour and crime on the lane in their application to the council. “The reason for requesting the closure is to prevent break-ins to properties accessed via the laneway, to prevent anti-social behaviour, dumping and graffiti in the laneways,” it said. Council Area Manager Dave Dinnigan didn’t want to close that lane, saying it would “reduce permeability” in the area. In other words, it would close off an access route for other people. In support of this, a presentation shown to local councillors, outlined the increased distance some people would have to walk. 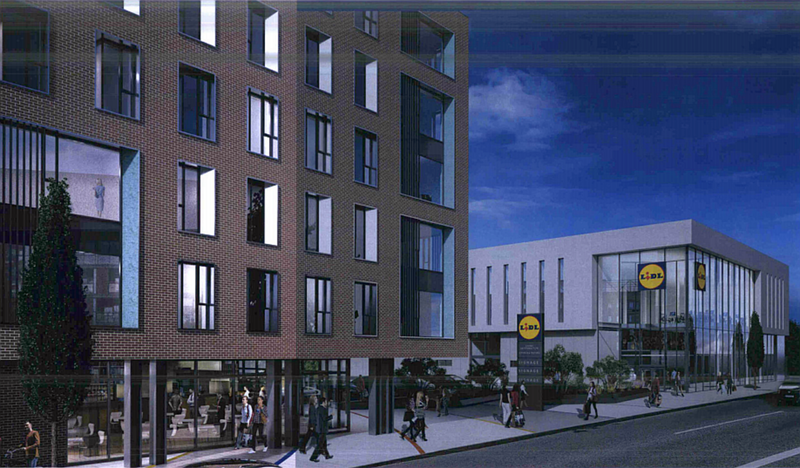 Backed by all the local councillors, the application received the support of the North Central Area Committee. 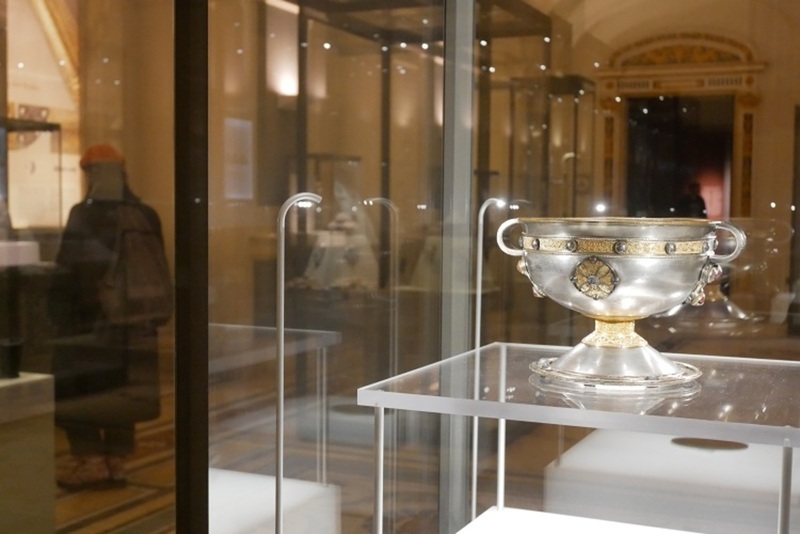 The full council then approved it in September, says Ó Muirí. 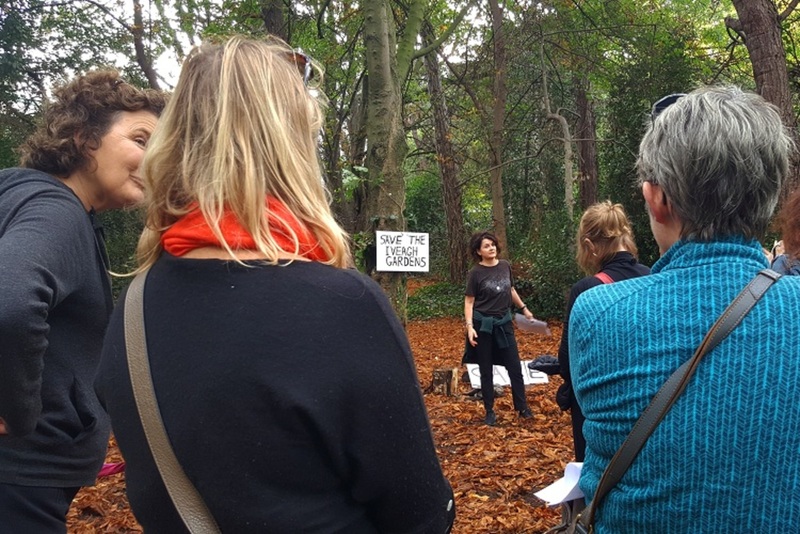 To apply to extinguish a public right of way, the majority of local property owners should be in agreement, says Siobhan Maher, public-realm strategy project manager for the council. It is a big decision because it means that the property owners become responsible for upkeep, maintenance and insurance, she said. For example, if illegal dumping continues, the council is no longer responsible for collecting the rubbish, she says. Also, closing off laneways can make it harder for area residents to walk from one place to another, so they might start driving more, says Cuffe, the Green Party councillor. If, despite these issues, residents decide to move ahead with their application to close off the laneway, other residents can still object, and this must be considered by councillors. There’s no cost for applying to extinguish a right of way, but if the application is approved, the applicants have to pay all the costs involved in closing off the lane. And it will always cost them a bit. In most cases, they need gates, which they have to pay to put in, and to maintain. According to a response from Area Manager Dave Dinnigan, to Clontarf residents, they had to pay €5,500 just to remove the street lighting from the lane. Back in June, independent Councillor Mannix Flynn requested that the right of way be extinguished for Cuffe Lane near St Stephen’s Green. Again, the argument was that there was too much anti-social behaviour. So far, no application has been received from residents in relation to Cuffe Lane, according to information from a council spokesperson. This seems crazy to me. The large number of laneways in Rathmines are a real feature of the urban space of the area, and connect many streets for pedestrians that are otherwise disconnected. If anything they should be celebrated and opened up more as walkways, cycle tracks, play areas etc. A few that have been fenced in are just now totally wasted dead space like on Merton Road. This part of Rathmines is one of the few areas you can walk around without the constant noise of cars that is practically everywhere in Dublin and its suburbs.